Over 650,000 lives distributed over 17 large US Employers were used to create the report. 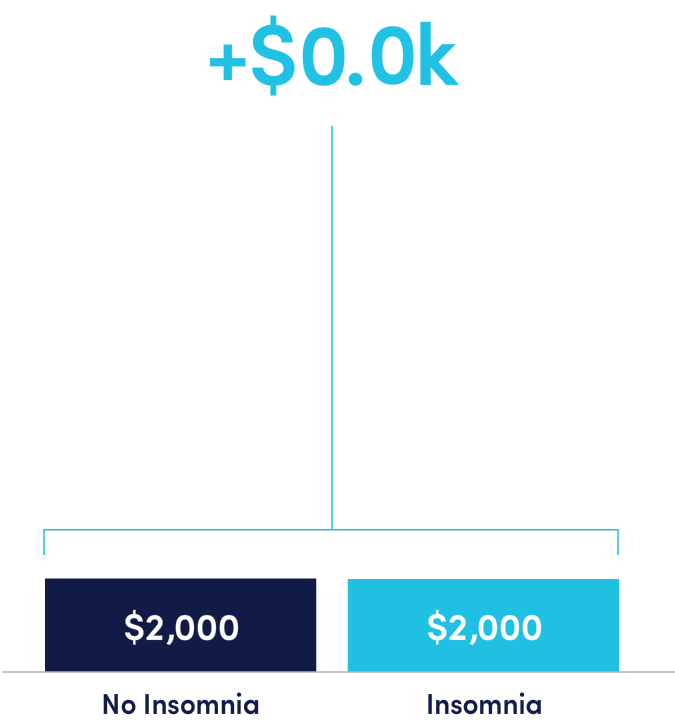 We found that individuals with insomnia cost an average of 2.4x more than those without. Read the first report of its kind to examine insomnia and mental health related medical and pharmacy claims for an employee population. At Big Health, we know that mental health is not just a cost problem. The State of Sleep Report highlights Laurie’s journey through mental health care as she struggles to keep up with everything on her plate.